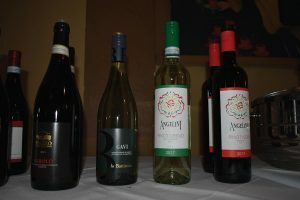 Angelini Wine Ltd. hosted its annual spring wine tasting at Rustica Ristorante in Milford on May 9. 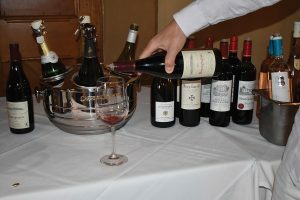 The tasting featured new and existing selections of imported and domestic still and sparkling wines, along with select spirits. The Rustica team provided accompanying cuisine, while sales representatives and management staff were on hand to discuss selections with guests. 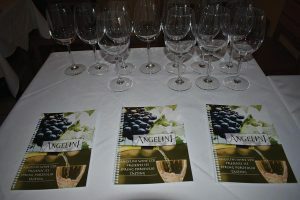 Angelini Wine’s spring wine tasting took place at Rustica in Milford on May 9. 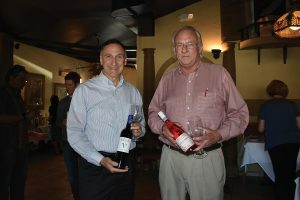 Julius Angelini, Owner, Angelini Wines and Matt Carpenter, Sales Rep., Angelini Wines. Miha Zajec of Continental Fine Wine & Spirits in Greenwich pouring Elise Villiers Bourgogne Le Clos 2014. 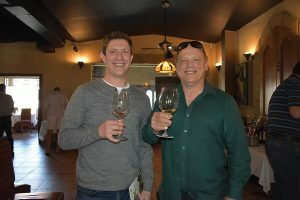 Ethan Epstein, Manager, Black Bear Wines & Spirits in Westport and Gino Pisani, Sales, Angelini Wines. 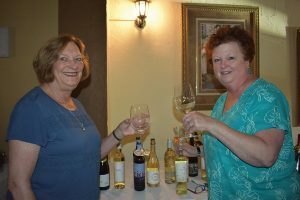 Eileen Purcell and Lorraine Friedman, both of Maple End Package Store in Bristol. 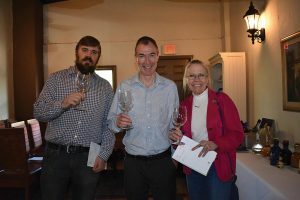 Doug Thompson and Betsy Thompson, both of Cellar 15 in Ridgefield, with Paul Cullen (Center), CT Sales Manager, Angelini Wines. 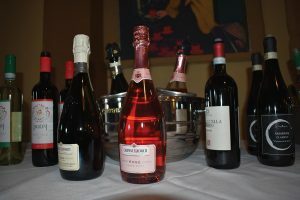 Selections from Carpene Malvolti, including Prosecco di Conegliano Valdobbiadene and Rosé. 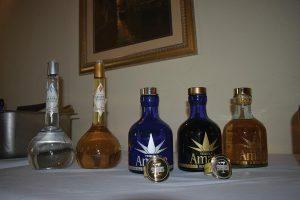 Carpene Malvolti Grappa Bianca, Carpene Malvolti Grappa Riserva, Tequila Amate Blanco, Tequila Amate Reposado and Tequila Amate Anejo. 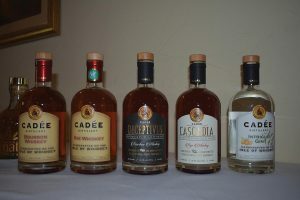 Highlighted selections from Washington state’s Cadee Distillery, including Cadee Bourbon, Cadee Rye Whiskey and Intrigue Gin. 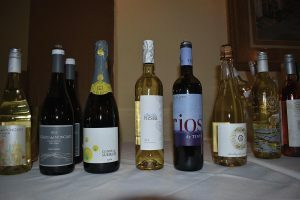 Whites from Legado del Moncavo, Conde de Subirats, Albarino Nessa and Rios Detinta. 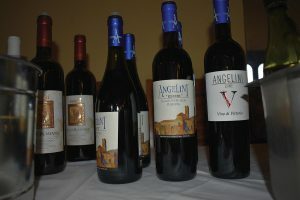 Pasetti Fonte Romana Montepulciano D’Abruzzo, Angelini Estate Sangiovese DOC Riserva and Angelini Estate Vino di Vittorio. Piazzo Barolo 2013, Gavi la Battistina, Angelini Pinot Grigio 2017 and Angelini Pinot Noir 2017. 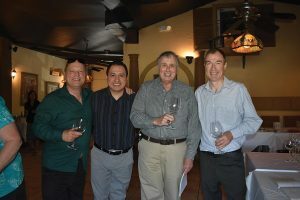 Gino Pisani, Sales, Angelini Wines; Vincente Contreras, Owner, Rustica; Henry Coppola; and Paul Cullen, CT Sales Manager, Angelini Wines. 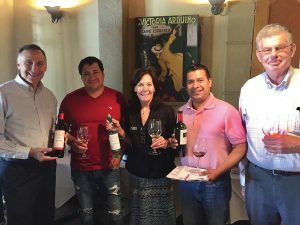 All from Angelini Wines except where indicated: Julius Angelini, Owner; Luis H. Jara, Carmine’s di Vega; Laura Lombardi-Vieira, Sales Rep.; Miguel Vega, Carmine’s di Vega and Tom McGrory, Sales.